Gum disease (also called periodontal disease) is an infection of the gums and other structures surrounding the teeth. It’s actually the most common dental problem in the world and even the leading cause of tooth loss! Early symptoms include red, swollen, or tender gums that tend to bleed when you brush your teeth. Eventually, it can lead to receding gums, loose teeth, and as we just mentioned…tooth loss. The inflammation caused by gum disease can also spread to other parts of your body. When it comes to your oral health, your gums are just as important as your teeth, which is why the team at Harbor East Dental will always keep an eye on your gums during your regular appointments. If you show any signs of the infection, we’ll be able to quickly identify it and treat it using a range of techniques known as periodontal therapy. One of the primary treatments involves two procedures called scaling and root planing. What Happens During a Scaling Appointment? Designed to treat the early stages of gum disease, scaling, and root planing is an effective nonsurgical treatment that can reduce pocket depth and restore gum health. 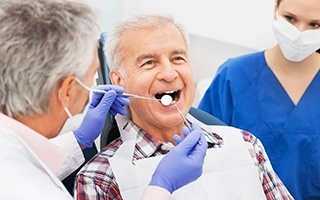 The procedure involves using an ultrasonic tool and small instruments to remove plaque and calculus (tartar) buildup that’s causing pockets around the teeth. The teeth are smoothed down so the gums can reattach to the teeth. Local anesthesia is used to keep you comfortable during these procedures. 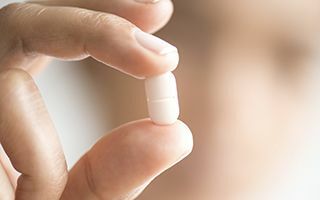 Can Antibiotics Stop the Bacteria From Growing in My Mouth? Yes, we’ll use something called ARESTIN after your scaling/root planing appointment. This is a topical antibiotic that will be applied directly to your infected gums. Once placed, it hardens into a wax-like texture, and it will slowly dissolve over the next 7 days. This will allow the powerful medicine to flow deep into your gums and reach even the most hidden bacteria. This treatment can also be used to lessen the size of periodontal pockets, which are the prime areas where harmful bacteria like to thrive. If you are experiencing any of the symptoms of gum disease we listed earlier, please don’t hesitate to contact us for treatment. You won’t be able to completely eliminate the infection on your own, and it’ll only get worse over time. We can help keep your smile safe, so be sure to contact us today for a periodontal appointment.